As I mentioned in a previous post, I’ve become interested in the role of writing and reading to contemporary Palestinian identity. 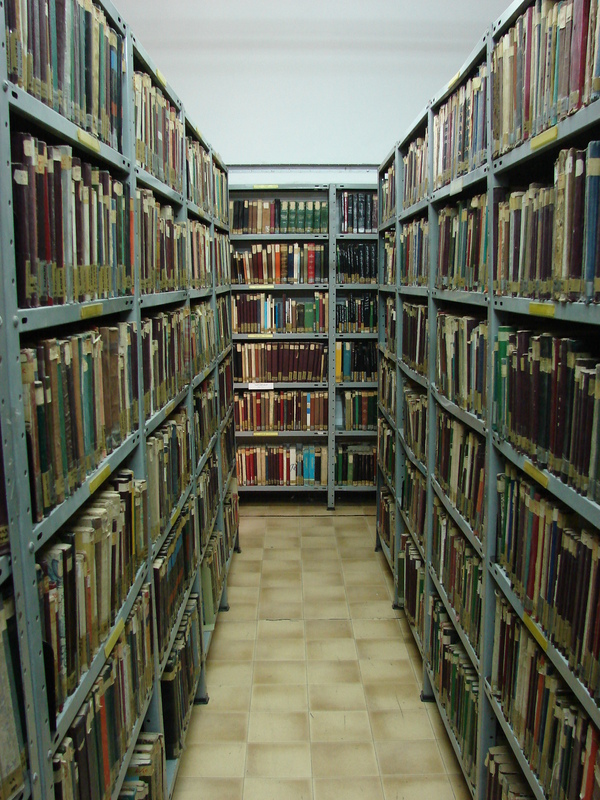 I’ve been seeking out book-related stories to write, and was excited with someone told me about the Prisoner’s Library in Nablus. 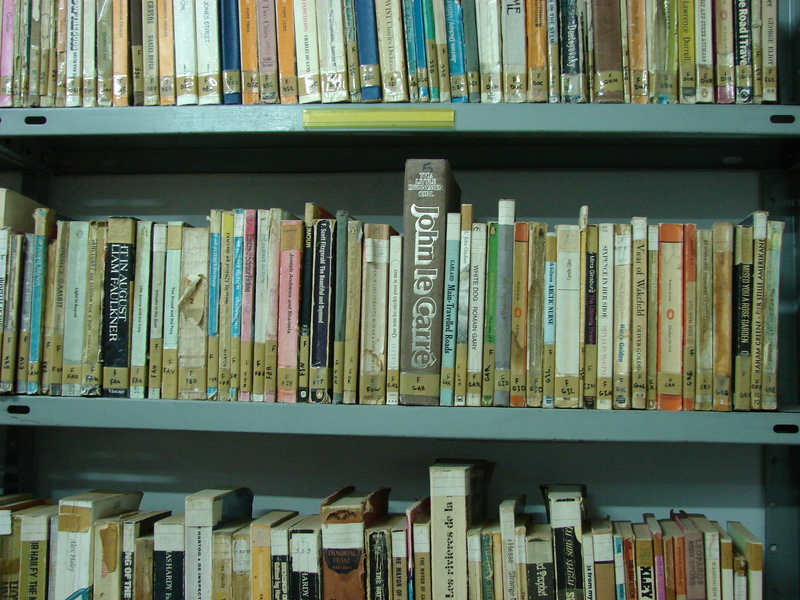 I was more interested in the life of the books themselves, as objects, than the writing they contained. I found drawings in the margins of many books, often the sort of crude scribbles of flowers or birds a child might make. Others doodled the Palestinian flag, or handwrote snippets of poetry. Many had been given new covers made of cardboard flaps and pages from discarded magazines. These additions to the books gave them a sort of meaning in a particular place and time. They become relics. One book, though, made me the most excited. 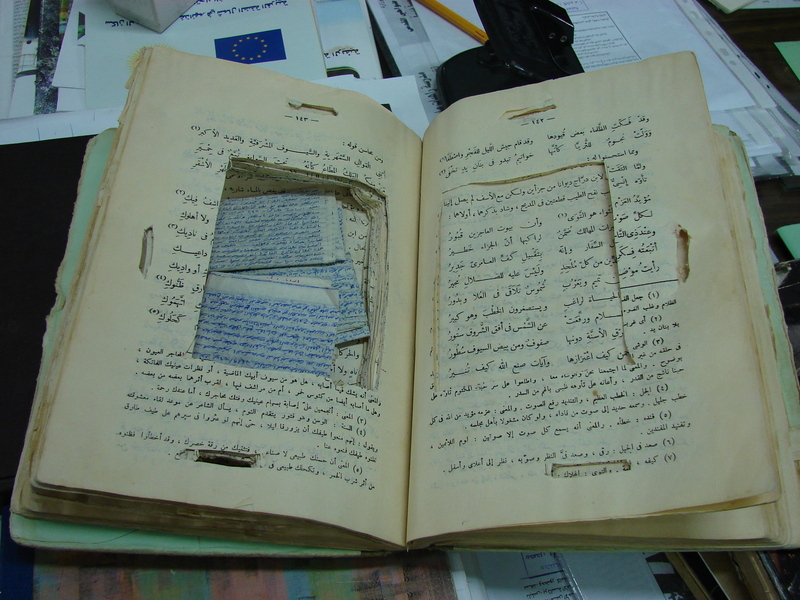 The librarian showed me a heavy textbook that had been hollowed out to pass contraband letters and notes between prisoners. The book still contained the original smuggled letters written in impossibly tiny and neat script. Lacking stationary, the prisoners wrote on paper they peeled from the reverse side of the foil in their cigarette packages. To hold these letters and the hollowed-out book in my own hands gave me a strange thrill. I felt like a co-conspirator.